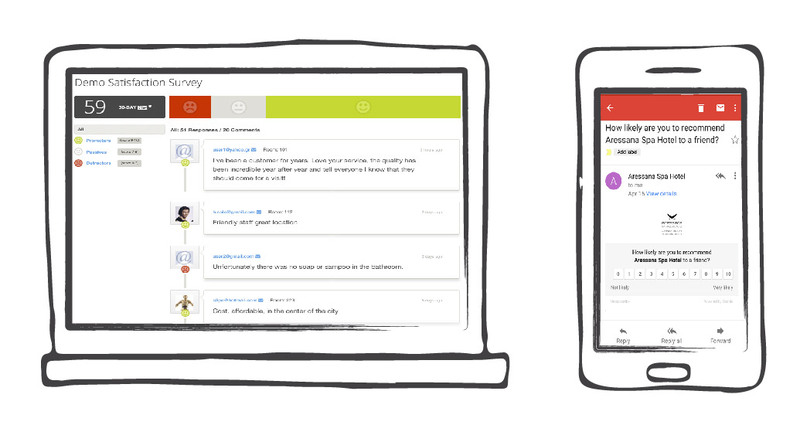 Acquire 95% of your guests emails! From $3/room. 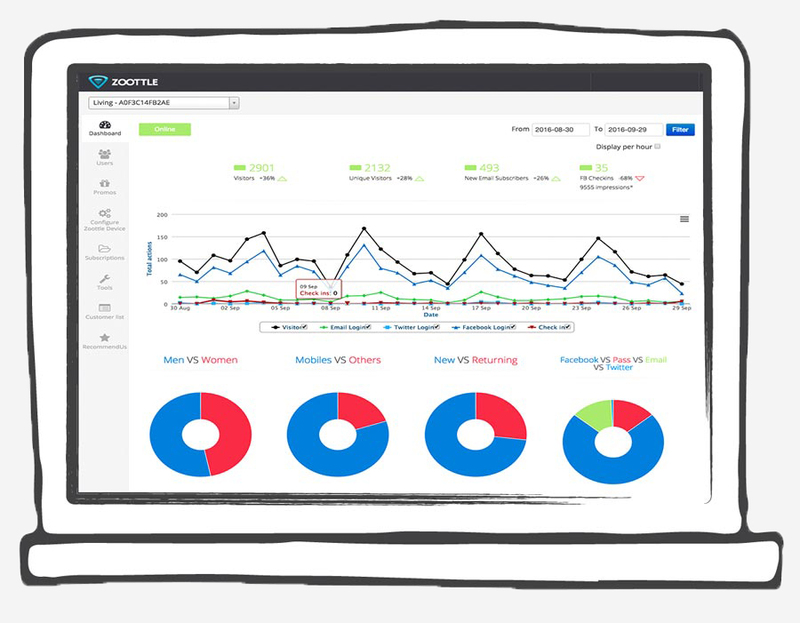 Zoottle’s analytics provides incredibly valuable data on the customer base via a powerful, yet simple user interface. It can include: Number of Visitors, Gender, Age, Number of Visits, Type of Device, Existing/New Customer, Login Method, Data Usage, where they are coming from and other qualitative and quantitative data. 100% of your guests will see them! from $3/room. Zoottle provides you with tools and templates to setup announcements and coupons, which target WiFi users during their login process. You are able to target users based on quantitative and qualitative parameters such as age, gender, where they are coming from, how many times they have connected, if it is their birthday, etc., and provide them with a customized announcement and/or coupon. You can use this tool to promote in-house products/services such as spa, room service or amenities, etc, or use it with local businesses (pizza, taxi, etc) in order to increase advertising revenues. 52% of Facebook users said that their friends’ holiday photos had inspired their vacation choice. 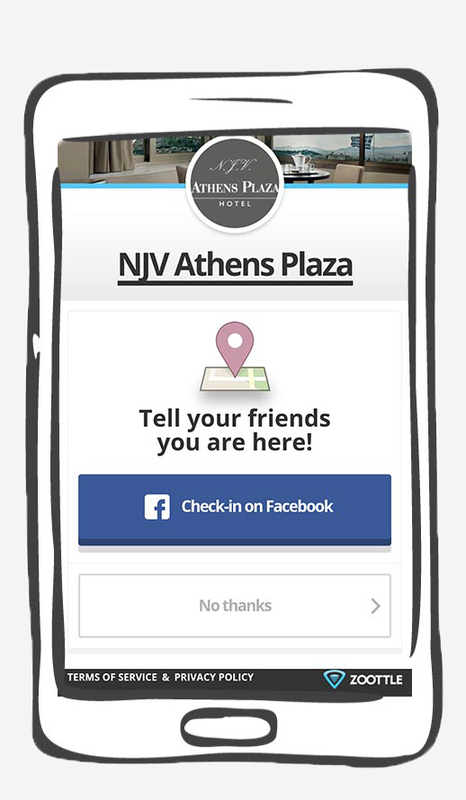 Get feedback from 40% of your Hotel bookings! Ask less – Get more. With just one simple question, with our Real Time – Net Promoter System® (NPS) Hotel Survey tool provides you with guest satisfaction results prior to guest checkout. This gives you the opportunity to follow-up with the guest, and resolve a situation that may have resulted in a negative review on TripAdvisor or other review site! When we know that the guest is happy, we send them an automated “Thank You” accompanied with a request to review your hotel on Tripadvisor (or other review site). Since you are able to address issues prior to checkout, and follow up with happy guests, our real-time satisfaction Hotel Survey Tool based on NPS, results in a 70% decrease in negative reviews, and a 40% increase in positive reviews. Significantly increase your direct bookings significantly! Zoottle’s data can help you create powerful and effective Remarketing campaigns on Facebook and Adwords. 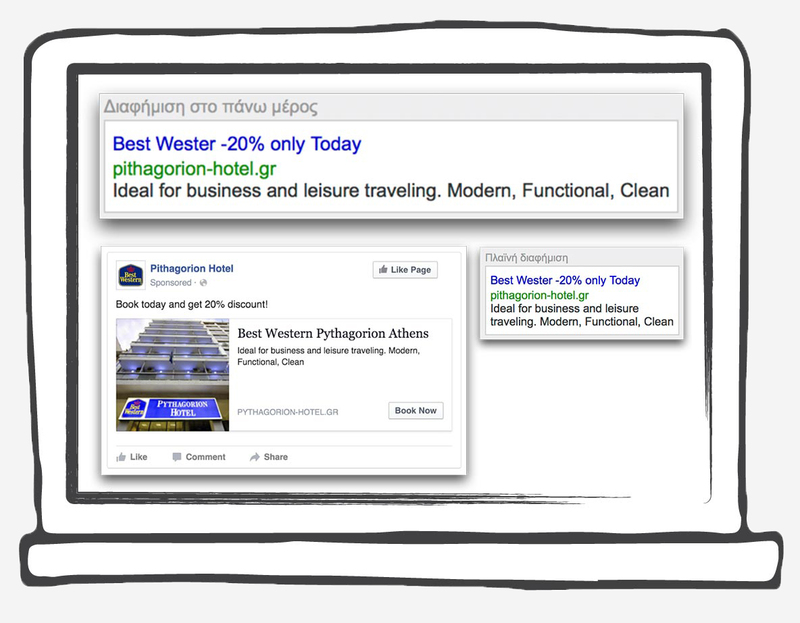 A typical example is that of Best Western: Pythagorion Hotel which spent 10€ on Facebook advertising using a custom audience from Zoottle. They were able to gain 10 direct bookings, which saved them 750€ in OTA fees. 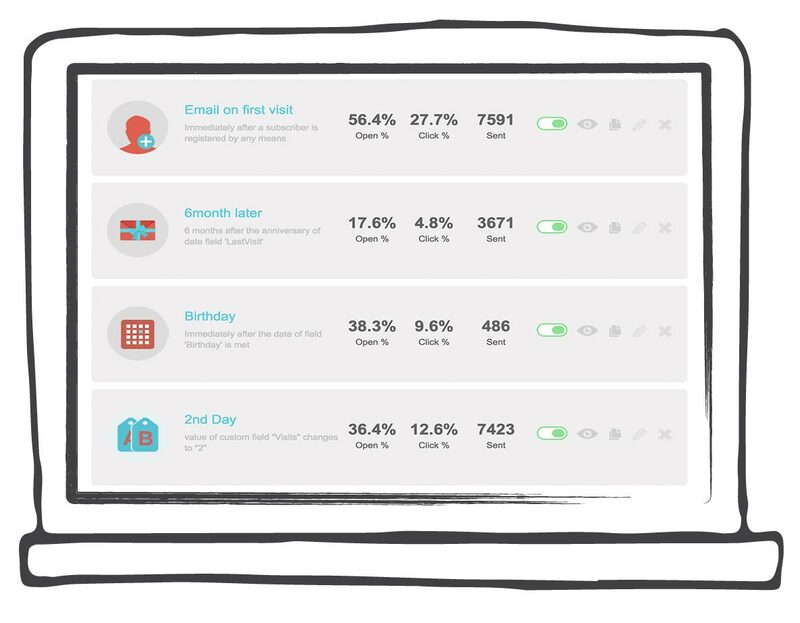 Send the right email at the right time using 100% valid guest emails! We have integrated moosend & mailchimp into our platform, allowing the emails collected from Zoottle, coupled with the collected demographic data) to be synchronized with moosend’s world-class email marketing features. Not only can you send an email to your clients anytime you want but more importantly, you can program automated emails based on powerful criteria such as: Day of stay, gender, age, country etc. This allows you to send “welcome” emails which include area tips, coupons, etc., “checkout” reminder e-mails, etc. The future in your hotel’s guest WiFi! No need for customers to download your mobile App. Distribute your HTML5 App effortlessly, using the venue’s WiFi infrastructure, powered by Zoottle’s APPless WiFi platform. 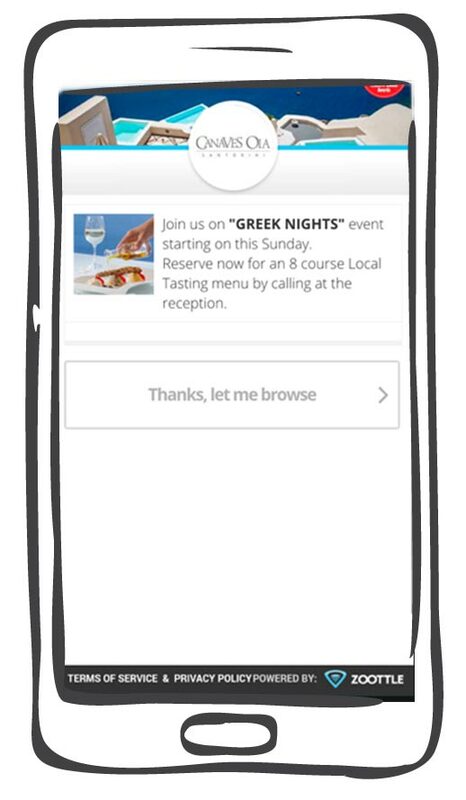 Use Zoottle to provide venue’s guests with WiFi internet access using their Facebook, Twitter or email credentials. 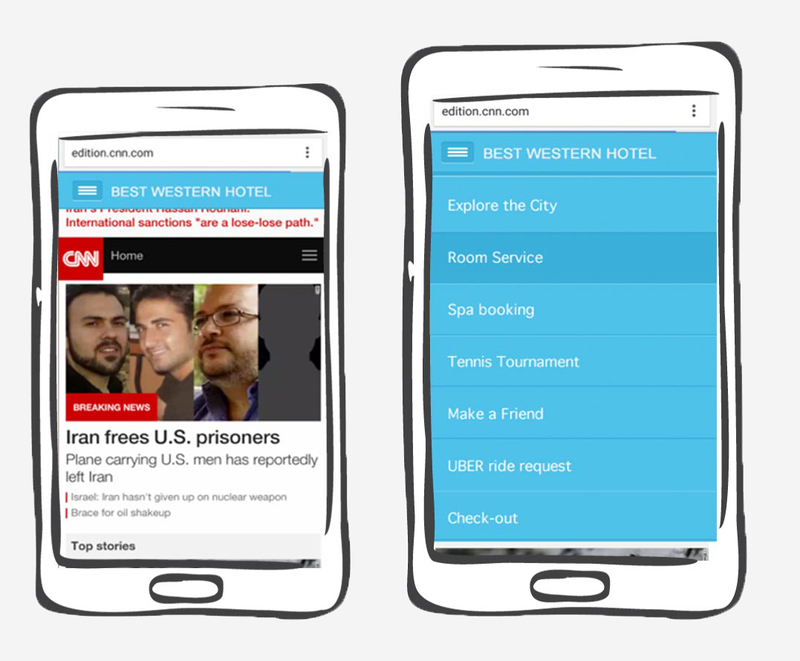 Inject your HTML5 App into the venue guest’s browser, with no need to download anything. Using the Zoottle credentials to authenticate the customer, no need for separate login.